Citizen Science is a fast-growing facet in several fields of science. Birdwatchers, for example, keep track of the birds they see. These may be simple More... observations or more detailed notes like breeding habitat, subspecies information, or other behavioral data can be contributed to science by regular folks participating in their favorite avocation. 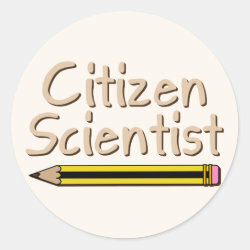 This design was made for all citizen scientists out there!